DLSU - Manila or, informally, La Salle - Taft. DLSU - Dasmariñas, or Dasma as everyone says it for convenience. De La Salle Santiago Zobel School, or De La Salle - Zobel as most everyone says. 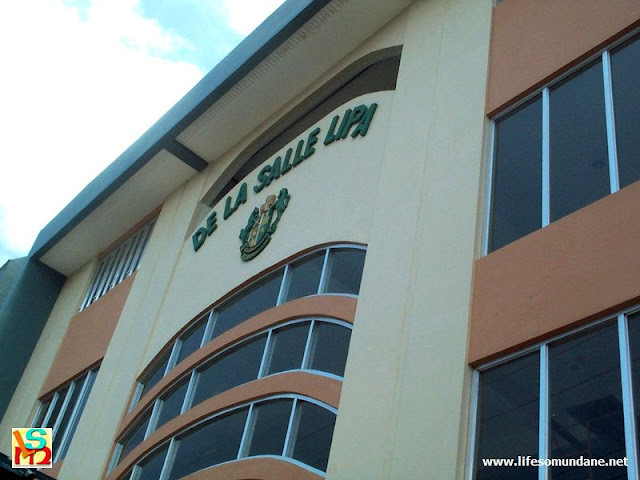 La Salle Academy in Iligan is just La Salle - Iligan to many; and USLS is still sometimes called La Salle - Bacolod. Noticed the common denominator yet? Yes, the dash ( - ). Since the schools of the Christian Brothers are all over the country, it was just convenient to say or write La Salle and then indicate the campus by attaching the name of the place where it is located. Preceded by the dash, of course. And De La Salle Lipa? With that rhetoric about the name of the city being part of the name of the school, he conceptually welded together the fortunes of the school and the city. In fact, as subsequent events would show, the more the school grew, so did the city. He was referring to when the school was formally incorporated and registered with the SEC back in the early eighties. Of course, we took his word for it; never mind that he was no longer a spring chicken and it had been almost two decades after the fact. Official records say that the school began operations back in 1962 as the Boys’ Department of the Our Lady of the Rosary Academy, operated by the Maryknoll Sisters and predecessor of what is now known as Canossa Academy. This was because the school did not as yet have a permit to operate. The permit was granted the following year by the Department of Education for the school to operate as La Salle High School. 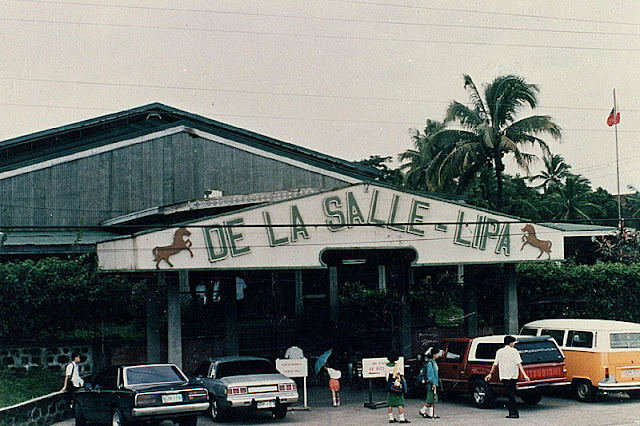 In the seventies when I was in high school, we were told to start using the name La Salle ng Lipa. I am not really sure why, but probably because Batangas was seen as something of a Tagalog heartland. For the record, I resented it that we were singled out. I thought it projected the mistaken notion that we were not proficient in English. When I returned to teach in 1982, I was surprised to learn that the school had started calling itself De La Salle - Lipa. Note the dash. There was a seven-year gap from when I graduated to when I started teaching. It took me a while to get used to the new name. But get used to it, I eventually did. After all, the Brother Lolo did not return to Lipa – he was previously assigned in 1969 – until 1995. Between 1982 and the Brother Lolo’s return, everyone was quite comfortable with the dash. So thus, when the Brother Lolo started saying that there should be no dash in the name, the question begging to be asked really was “Does it matter?” It certainly did to the Brother Lolo – and there was the little matter of him being the President. He was obsessive; and would call the attention of anyone who dared – or simply forgot – and used the dash. I was at External Affairs at the time; and had to write the official forms and styles that would be everyone’s guide in branding the school. It always felt silly requesting external parties to please not use the dash as though it was a matter of life and death; and it felt just as silly to repeat the official line that the name of the city was part of the school’s name. In school, the kids were naturally quickest to drop the dash. As for employees, there were those who did not care or kept forgetting and had to be reminded over and over. Since it was my office’s job to do the reminding, believe me it could get really tiresome! In time, however, everyone came around – even alumni and alumnae who graduated when the dash was still very much part of the school’s name. God, indeed, blesses those who persevere. As recently as a year or so ago, however, I inadvertently came across a copy of the incorporation papers filed at the SEC in the early eighties. The name registered was... (Drum roll!) De La Salle - Lipa! You read right. With a dash. My guess is that between the Brother Lolo’s intention and the clerical process, the dash got added. Either that or he simply remembered things wrongly. Around the time when he was insisting that there was no dash, he was almost sixty; and it had been almost two decades since the incorporation. Of course, around the time when I saw the registration papers, the Brother Lolo had passed on to the afterlife. Not that there would have been a point in telling him. I suppose, in the end, there is no point in restoring the dash. 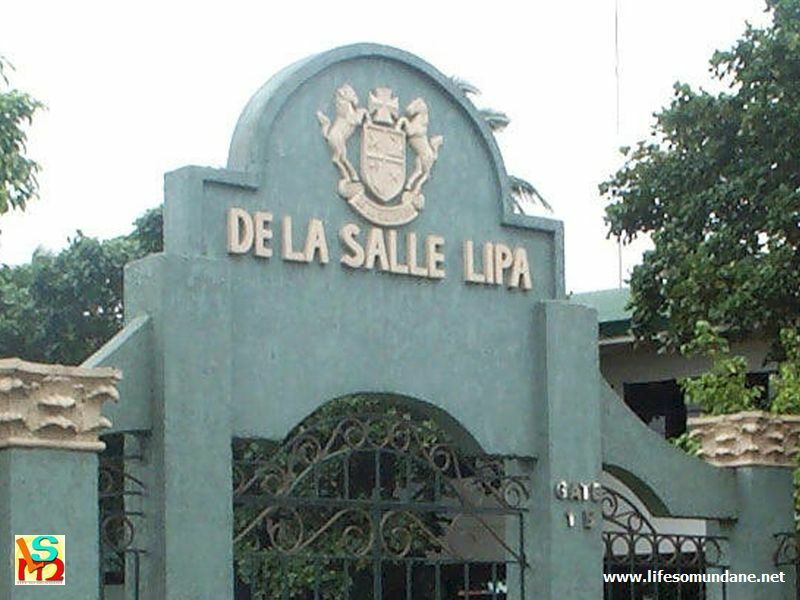 First of all, the dash-less De La Salle Lipa is now part of the school’s official styles; and also how everyone now writes the name. More importantly, I thought that the Brother Lolo’s reasoning was not only inspirational but also just another example of what made him such a great man. Wherever he was assigned, he made the place his home and made the people believe in themselves. He believed in the school and the city; and the school and the city started to believe along with him. It is perhaps for this reason that, morally, it is best that the school’s name continues to be De La Salle Lipa.